The United Church of Christ believes in the authority of scripture, where the Bible is the ultimate rule of faith and practice. That being said, our denomination was born out of the free church tradition, with the original Congregationalists being the Separatists from the Church of England. Therefore freedom of interpretation is a guaranteed right of the individual. We study the Bible together, seeking God’s Word and guidance for our communal and personal lives. It is joyful! The Rev. Lynne Spencer-Smith leads a Bible study in the fall and early winter, bringing to our studies resources and interpretations from the world of modern biblical scholarship. Our Bible studies are quite popular and rigorous. 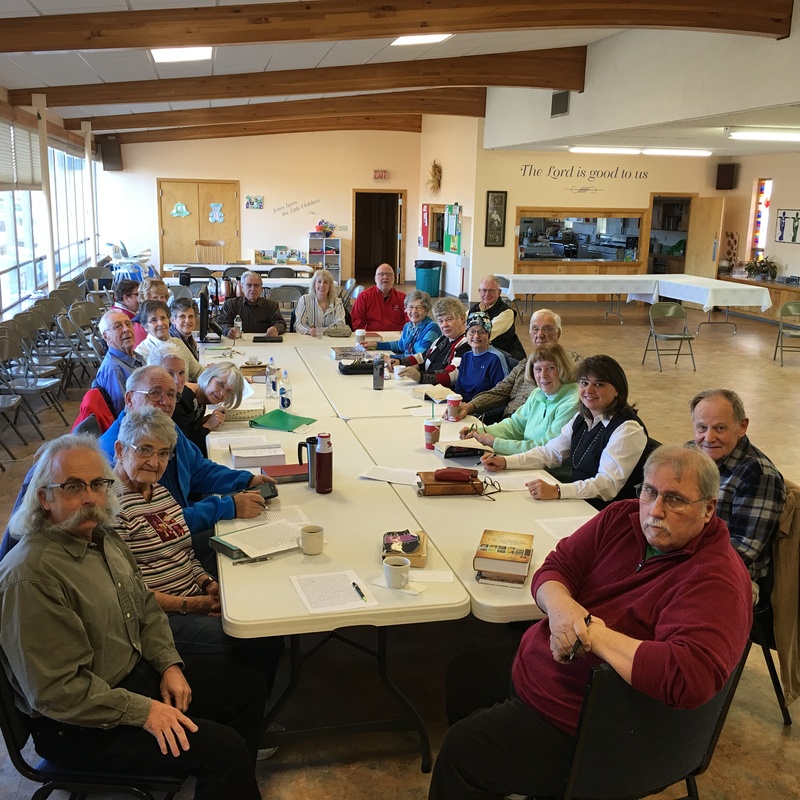 Plans are under way for the 2018 Bible Study. Recent Bible Studies have included and in-depth exploration of the Book of Revelation and The History of the Bible. As people of faith it is important that we know our biblical story. To mature as Christians it is important to have knowledge of the Bible. Studying scripture together not only helps us to grow as individuals, but it shapes us into a vibrant community of faith, as well as it equips us to pass on the faith. We invite you to join us on the journey. It begins with the Bible.